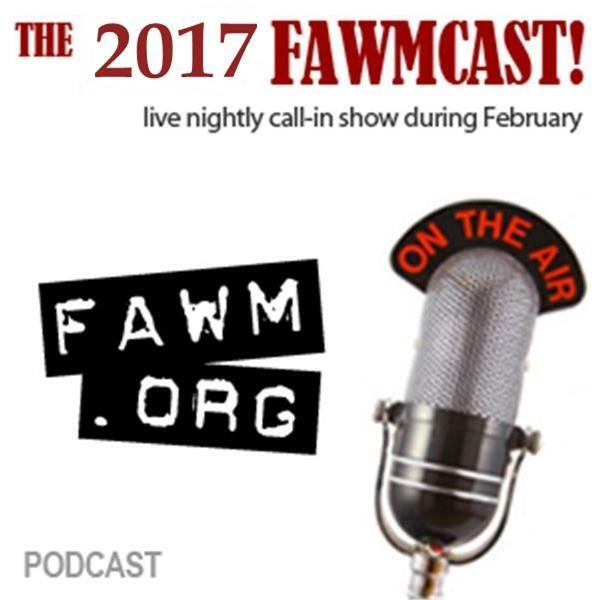 THE 2017 FAWMCAST with your host, T.C. Elliott and possible guest hosts. This is our call-in radio show with musical selections from FAWM participants and discussions on songwriting and all things FAWM from late January through early March 2017 during the annual February Album Writing Month challenge on http://www.fawm.org. We showcase songs and songwriters from the challenge, and discuss songwriting, timed songwriting challenges, and all the joys and perils therein. In which your host, T.C., talks about the FAWM challenge and plays brand new songs from FAWM.org. The 2017 FAWMcast Episode 1 with T.C. Listening to songs from http://fawm.org - the February Album Writing Month songwriting challenge, and talking about FAWM. In which your host (T.C.) plays songs from the February Album Writing Month songwriting challenge, 2015 edition and wishes everyone a fond farethewell.